The capsule machine is far more than just a kitchen appliance. After all, it makes our coffee just the way we like to drink it. And that, at just the push of a button. How practical, then, that cleaning it is almost just as simple. What does a capsule machine have to be capable of? Technically, ‘just’ one thing: it has to prepare the perfect coffee for us. Quick, uncomplicated, with an attractive crème on top. For a consistently optimal result, proper care is the be-all and end-all. At first, this may sound like hard work. However, true to the motto ‘keep it simple’, cleaning a capsule machine usually only takes a few minutes. 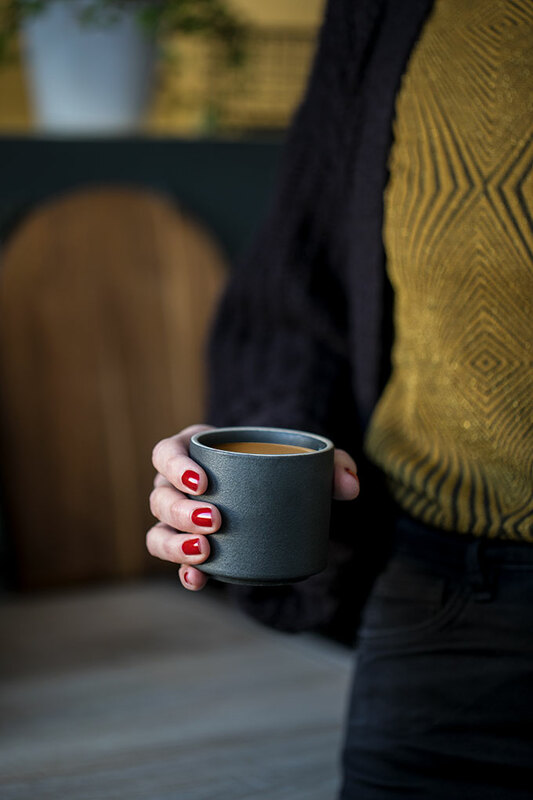 Do you think tomorrow’s coffee should taste just as good as today’s? Then prepare everything for your morning use of the machine the evening before: Empty the used capsule container and dispose of the used capsules. Subsequently, wash the container, together with the drip tray, in warm water. If you own a milk frother, it is imperative that you clean this after every usage, due to the risk of bacteria arising in milk deposits. As a general rule, all parts of the milk frother should be cleaned with water, and the internal part wiped out using a sponge. Caution: milk frothers are often not suitable for dishwashers, nor should they be submerged in water. It is best to check the instructions for use beforehand. Finally, mount all parts back on the machine. A freshly-brewed coffee from your machine is made up of 99% water. This is 99% which has a considerable influence on the taste of your coffee. And, indeed, this influence is so considerable that coffee expert Maxwell Colonna-Dashwood himself has even written an entire book on the topic of water quality. So, what can you do to constantly get clean water from your capsule machine? For a satisfactory quality of water, you should empty and thoroughly rinse out your water tank every evening. You should only fill it up again with fresh water the following day, just before you use it. 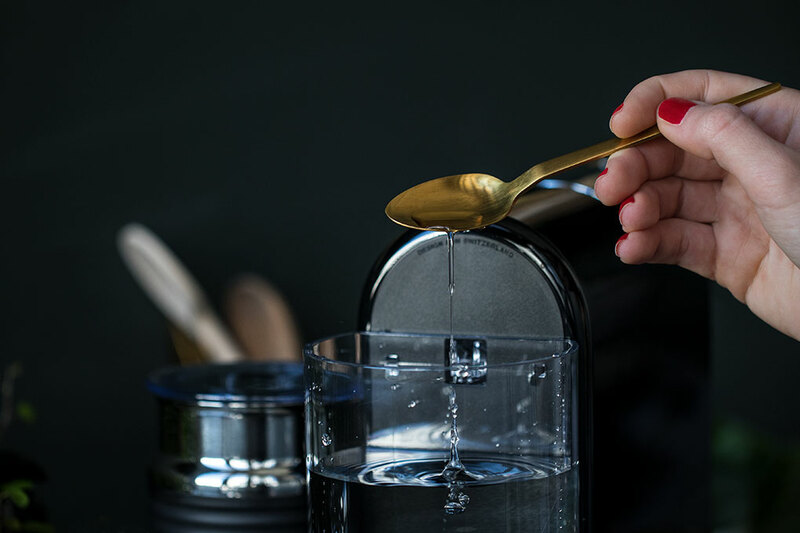 For especially demanding coffee drinkers, a water hardness test of your mains water is worth it. The higher the percentage of minerals in the water, the higher its degree of hardness. And the higher the degree of hardness, the more negatively this impacts the taste of your coffee. This is because the unpleasant, individual taste of the minerals covers up the aromas of the coffee. Many companies offer free or inexpensive water hardness tests. 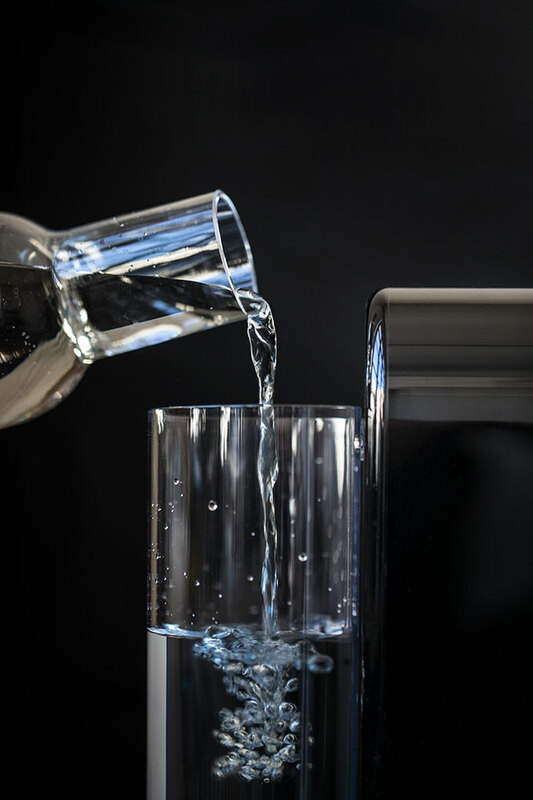 Should your water be too hard, a water filter is the right choice for an improved quality of water – and a better taste in your cup. The quality of the water also has a direct effect on your machine. For example, lime is created when hard water is heated. In the worst-case scenario, lime deposits can damage the technology in your machine. For this reason, it is recommended that you descale it regularly. Every capsule machine has its own descaling program which is quick and easy to operate. First of all, the tank is filled with water and a descaling solution– the latter of which can be found in the most diverse varieties and by the most diverse of manufacturers. For fans of natural cleaning products, vinegar or essence of vinegar is a good alternative. Simply throw a splash of it in the tank and fill the rest up with water. Now, by pressing a sequence of buttons, activate the descaling procedure, which will start the cleaning of the machine. Afterwards, repeat the process with fresh water at least once – and the decalcifying process is finished. Depending on water hardness and machine usage, it is recommended that you descale your machine every 2-6 months. The good thing about capsule machines is their strong functionality in a compact form. Every element has an important function, which is why they should also be cleaned at regular intervals. Of course, that doesn’t mean that you immediately have to start unscrewing the machine. The cleaning and descaling functions ensure that the machine also gleams on the inside. However, the water tank, drip tray, used capsule container and casing should all be cleaned with a damp cloth and detergent from time to time. Capsule machines are just as efficient for cleaning as they are for making coffee. With just a little effort, your machine will remain loyal to you for longer, and continue to serve you your favourite coffee specialties every day, at the usual high quality.